Offering you a complete choice of products which include ultra violet sterilizers. We are leading manufacturer of Ultra Violet Sterilizers and our product is made up of good quality. Possesses the greatest germicidal effectiveness that aptly penetrates the microbial cell membrane to destroy the DNA molecule, thus preventing cell replication. It does not change the physical or chemical characteristics in water. UV provides disinfection on contact. It does not have any residual properties left in the treated water. 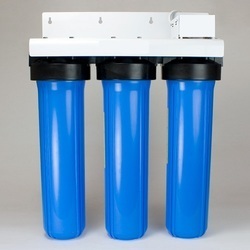 Designed in compliance with statutory requirements, our ultraviolet purifiers are used to provide bacterial disinfection in water. Looking for Ultra Violet Purifiers & Sterilizers ?